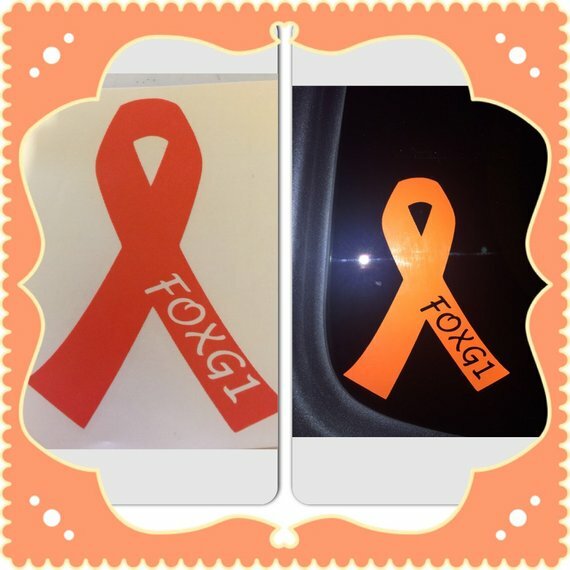 Raise awareness everywhere you drive with this FOXG1 Ribbon Decal. This decal is an orange awareness ribbon with the word FOXG1. Proceeds from each decal sold go to the International FOXG1 Foundation. These decals are made with permanent vinyl and can be displayed on the window of your car, Yeti cup, tumblers and more. Handwash only if using on an item such as a cup.